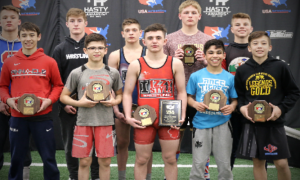 The United States Greco-Roman Seniors won the Pan Am Championships for the fifth year in a row on Friday, clinching the title by a single point over powerhouse Cuba, which did not field a full squad (to be fair about the whole thing). But if we’re going to go down that route, the US dealt with its own share of adversity in Peru. 2012 Olympian Ellis Coleman (67 kg, Army/WCAP), a two-time medal winner at the event previously, required all of two throws to send Jose Sanchez Betancourt (COL) to the showers in his opening match. It was a thing of beauty, really. But in the quarters, Coleman fell to Brazil’s Joilson De Brito Ramos 7-5. This was a sizable upset that served as a verifiable shock to the system. De Brito Ramos, while clearly skilled, is someone Coleman would normally be expected to run through. 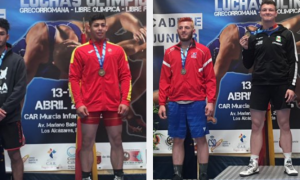 Compounding the issue was that in the semis, De Brito Ramos faced 2016 Olympic gold Ismael Borrero Molina (CUB), who very well may just be the best Greco wrestler pound-for-pound on Earth. The odds of De Brito Ramos somehow pulling Coleman back in for a chance at third were enormous. And sure enough, Borrero flung De Brito Ramos around the tarp like a bag of sand pretty much before ending the drubbing with a pin in the second period. 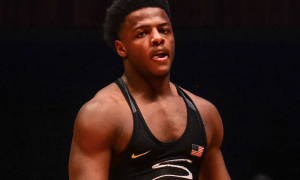 The other unpleasant surprise for Team USA was Kamal Bey (77 kg, Sunkist) being unable to advance in the tournament. The 2017 Junior World Champion was engaged in a topsy-turvy affair with Jair Cuero Munoz (COL) when he suffered a rib injury that ultimately resulted in his bowing out of the event altogether. Bey was behind on the scoreboard 10-7 before the bout was called. But with the way he was wrestling (and had been wrestling as of late), it was hard to imagine him not finding a way to pull out some sensational last-second victory via gigantic homerun throw. Two of America’s most potent Senior competitors did not move on to the medal rounds, and therefore, did not help create padding in the team race. And like Bey, Mike Funeffinger (60 kg, Army/WCAP) and Daniel Miller (97 kg, Marines) also dropped their first and only bouts. Following the Nationals and the good vibes surrounding that experience, going into the Pan Ams, it seemed that the US would have a chance to not only win the tournament, but do so going away. But that is what makes the performances of the medalists all the more clutch, certainly with the benefit of hindsight. Day 1 saw Ryan Mango (63, Army/WCAP) and RaVaughn Perkins (72 kg, NYAC) decimate virtually everyone in their path. Max Nowry (55 kg, Army/WCAP) and Robby Smith (130 kg, NYAC) grabbed silvers (and one, if not both were egregiously hosed on calls). Despite Coleman, Fuenffinger, and Miller not advancing, the US still sat in great position to take the team title on Friday with Bey, Geordan Speiller (82 kg, Florida Jets), and Ben Provisor (87 kg, NYAC/NLWC) waiting in the bullpen to close it out. 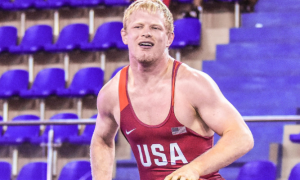 Speiller went 3-1 with two techs and a pin to pick up silver, and Provisor went 2-2 to nail down bronze (with his second loss coming in the match for true-third to determine qualification for the aforementioned 2019 Pan Am Games). The point, to all of this, is that Team USA encountered a cavalcade of less-than-perfect circumstances and still got part of the job done. Some will harp on the unqualified weights for 2019 — not out-of-bounds. But given the quick turnaround following Vegas, the unexpected losses, and “only” six medalists out of ten possibilities, the American performance doesn’t deserve to be overlooked. Because the Pan Ams are a Continental Championships, it falls under United World Wrestling’s “Ranking Series” events where points are distributed to individual athletes pertaining to how they placed. Only one US representative, Bey, entered the tournament with a point value for 2018 — 12, stemming from his Granma Cup gold in February. If Bey had been healthy enough to advance and medal, he would have doubled his point total. Ranking Series points are to be considered by UWW for placement/seeding at the Senior World Championships this coming fall. The annual Superior International Camp at the Olympic Training Site (on the campus of Northern Michigan University) begins June 11th (arrivals on June 10th) and is filling up extremely fast. It’s not at capacity yet — there is still space available for Cadet and Junior athletes. But it is an eventuality that it will hit the ceiling, especially with Sweden recently announcing that they’re bringing 14 wrestlers to participate. We’ll have more on the Superior Camp leading up due to its significant value for age-group development in the US. But — if you do not require any additional info, it is strongly recommended that you don’t wait on signing up. The cost is $375 for five days of intense, elite-level international training and live matches plus room/board/transportation to and from the airport. To get on this now, please contact NMU/OTS head coach Rob Hermann — [email protected] — or call (850) 261-1719. 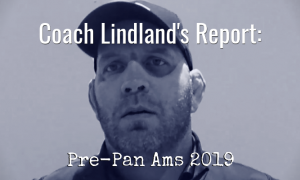 A full-length interview with Ryan Mango, who went back-to-back last week with wins at the US Nationals and Pan Am Championships. There have been a lot of requests for a Ryan Mango feature and rightfully so. There’s a lot to crack open with the surging star and we look forward to breaking this thing out soon enough. 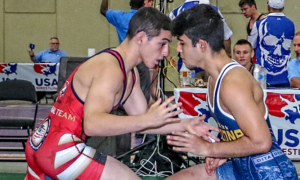 In-depth info regarding the upcoming Greco-Roman Transition Camps for freestylers following the Final X Series. An all-new Northern News with NMU Head Coach Rob Hermann will be out this week. The latest episode of The Five Point Move Podcast can be heard below featuring 2018 UWW National champ Andrew Berreyesa (82 kg, NYAC/FLWC) and 2017 Military World Teamer Brandon Mueller (Air Force/505 WC).